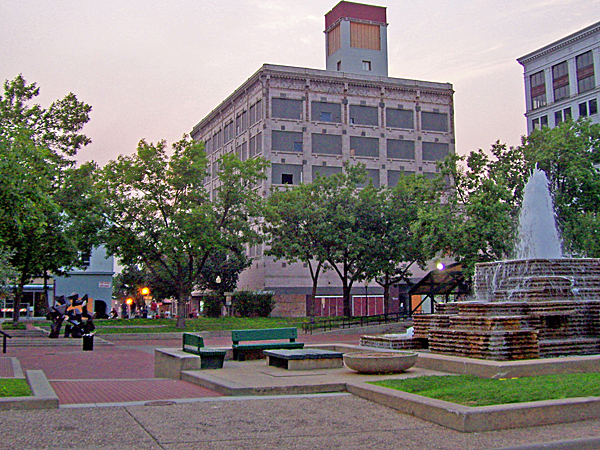 In 1969 the Downtown Springfield Association set out to find a design firm to improve a barren, paved vehicular area that had recently been given park status as a memorial to the Dorsey Heer family. The square is different from traditional squares: the streets enter it at the center of each side of the square rather than from its corners. 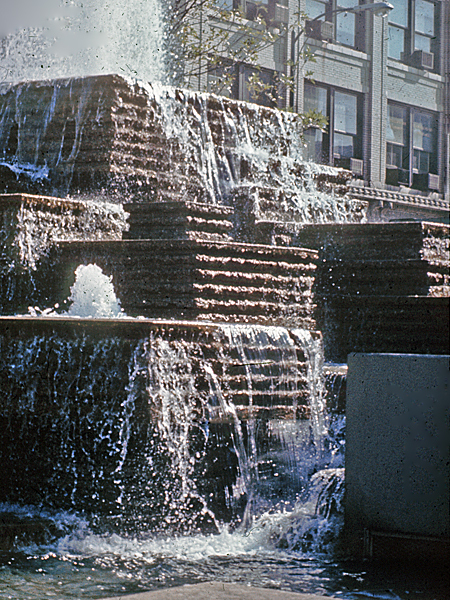 The Association hired Lawrence Halprin and Associates, and this became the firm’s second Missouri project, following their Kansas City Civic Center Master Plan. 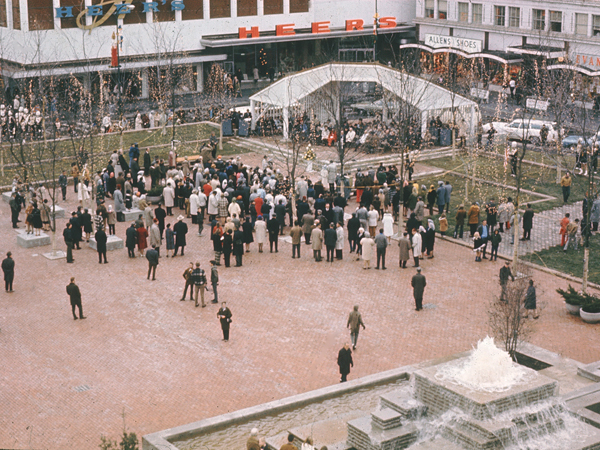 The project was completed in 1974, during an era that outdoor shopping malls were quickly gaining popularity and public spaces such as this were also becoming cultural centers, often incorporating large-scale art. 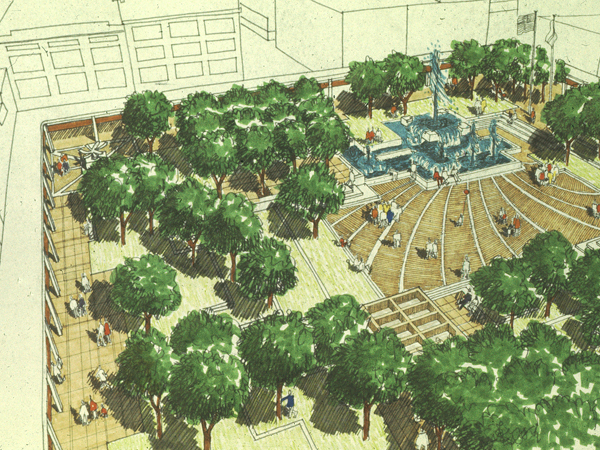 The central feature of the square is a slightly depressed, paved, central plaza designed to cater to large civic gatherings. This plaza is surrounded by grass terraces separated by concrete steps. 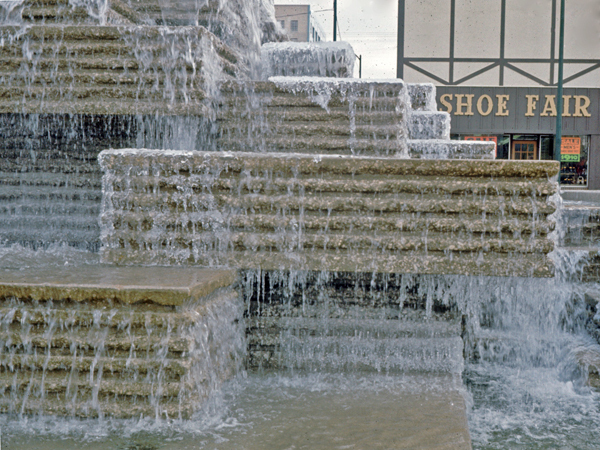 A fountain constructed of Indiana limestone serves as its focal point. 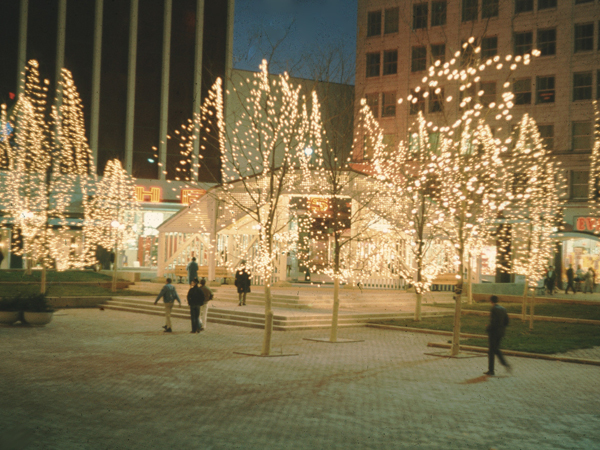 The design also includes ample seating areas; a pavilion influenced by Charles Moore’s work on Lovejoy Plaza; a sculpture by Aristedes Demetrious, who had collaborated with Halprin on other projects; accent plantings; and site-specific street furniture. 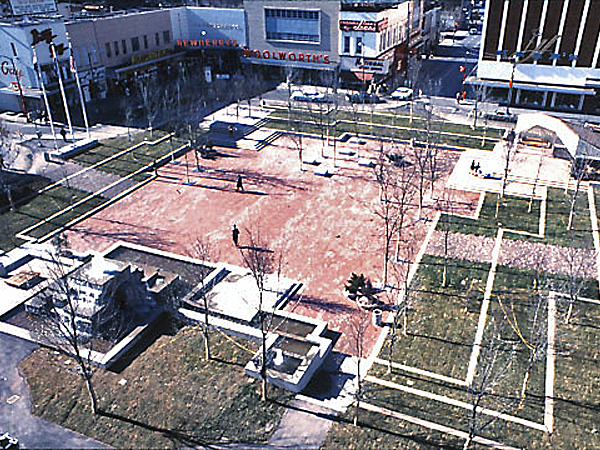 The plaza was listed in the National Register of Historic Places in 2010– the first such designation for a Lawrence Halprin-designed landscape.